A Leap of Truth explores the relationship between Christian theology and evolutionary theory. Allen C. Guelzo asks, “Whither the Evangelical Colleges?” Hunter Baker replies with a thither. “Presbyterian Church to ordain gays as ministers.” The Rev. Dr. Janet Edwards, a Presbyterian minister, considers this a “moral awakening.”Mark Chaves, a sociologist of religion at Duke University, comments: “They’re making this change amid a larger cultural change. General public opinion on gay rights is trending pretty dramatically in the liberal direction.” On a (cor)related (but not necessarily caused) note, mainline church attendance is tanking. Perhaps this illustrates the truth of W. R. Inge’s comment that those who marry the spirit of the age will find themselves a widower in the next. “Catholic Church should reverse opposition to in vitro fertilization.” What’s interesting about this story is that the author, Sean Savage, and his wife, Carolyn, used IVF. Due to a lab mistake, she was implanted with the wrong embryo. Incredibly, she not only gave birth to the child but also gave the boy back to his biological parents. 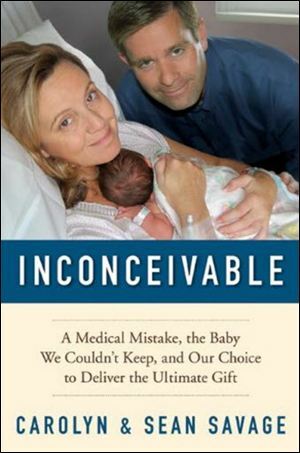 Sean and Carolyn tell their story in Inconceivable: A Medical Mistake, the Baby We Couldn’t Keep, and Our Choice to Deliver the Ultimate Gift. Just what we need: Yet another English translation of the Bible. And does anyone else find it odd that a graduate school—my alma mater—prefers a translation “written at the seventh or eighth grade reading level”? “Scientology in Illinois’ public schools?” Only in Springfield would L. Ron Hubbard and Bart Simpson make common cause. While adolescents may question or review their spirituality, it remains a critical aspect of adolescent stability. While research on spirituality and adolescence is limited, studies of religiosity have found a positive correlation with an adolescent sense of well-being, positive life attitudes, altruism, resiliency, school success, health and positive identity, as well as a negative correlation with alcohol and drug use, delinquency, depression, excessive risk-taking and early sexual activity. In short, as adolescents develop, they will need to confront their own spirituality and incorporate it into their sense of identity. Continuing the dialog while respecting that process and acknowledging the quest may be difficult. Yet it really remains the only option. Is Buddhist pacifism a Western myth? The moral horizon of our society has been narrowing for some time to a closed equation featuring selfish vindication and death, and it is this process that only God and His concept of mercy can reverse. If Christians are “salt and light” in the earth, as Jesus said we would be, then we cannot do better, in the project of propagating God’s mercy, than to start by absorbing its meaning ourselves. 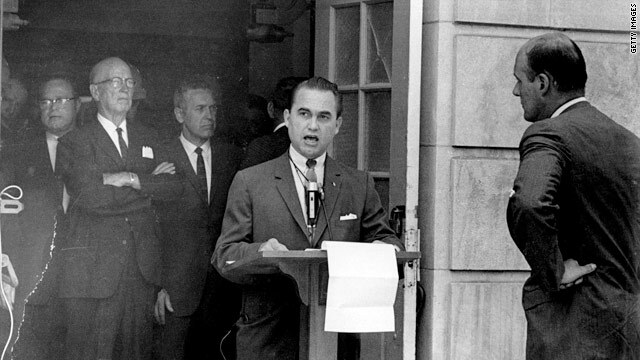 “Black Preacher: Why I forgave George Wallace”: Because George Wallace needed forgiveness? According to the Rev. Kelvin Croom, “If a lot of us would forgive people, we could find healing. We could find peace.” Another path to peace would be if a lot of us would repent of our sins against others. The phenomenological dialectic of right and good could be resolved if we could understand what is at the heart of human moral experience; but to understand this heart, we require more than what, unaided, human moral experience and purely philosophical speculation on this experience can provide. My argument for this conclusion is thus: What the duty aspect of moral experience suggests is the reality of justice, which is inherently relational and thus irreducible to any interpretation of morality as mere personal fulfillment. What the happiness aspect of moral experience suggests is the reality of desire–for-the-good, which is inherently personal and thus irreducible to an interpretation of morality as mere social or divine obligation. So, any explanation of the moral ought must include both others-related justice and self-related desire, and this is precisely what is provided by a theological ethics of creation and gift: If we are creatures, then we are inherently relational, with any actions related, above all, to our creator; and if creation is a gift, then we are supposed to enjoy creation as a good. And if God Himself, in essence, is a relation of three persons eternally bestowing upon each other and enjoying each other’s perfect divine goodness—God giving and receiving Himself—and if humans are made in the image and likeness of this Trinitarian gift-friendship, then we have the definitive—though still inexhaustibly mysterious—archetype in which the paradoxical human experience of simultaneous goodness and oughtness can ultimately be resolved. You might also want to check out Good God: The Theistic Foundations of Morality by David Baggett and Jerry L. Walls.